Are you looking for a social networking and shopping portal that serves a universe of fashion forward ladies who love all things trendy and chic? Well, you're looking for Clozette.co! Let's get this started! FASHION FINDS is Clozette’s mobile app that allows you to stay fashionably connected while you're out and about or away from your computer. So, what you can do with Fashion Finds mobile app? Take photos of your closet items, your recent purchases, your interesting fashion and beauty finds, discoveries and desires! Have them uploaded directly to your Closet collection and also shared with the Clozette community. 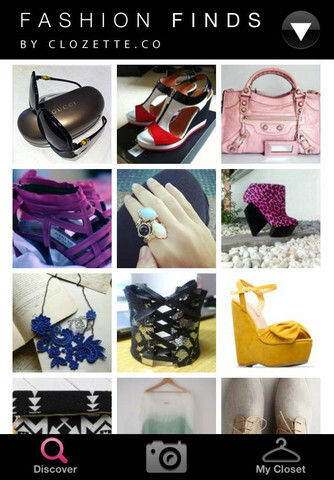 Browse and admire your Closet collection uploads, you can browse by categories bags, shoes, jewellery, makeup etc. All the photos you have uploaded with Fashion Finds are also synchronized real-time on their portal. Explore and discover what other Clozetters have shared. Share a comment or share your love by heart-ing items you like! Begin your affair with Clozette today - Fashion's a lot more fun when you're in chic company!They're looking forward to the great stuff you have in your closet as well as your amazing fashion & beauty discoveries! Download it now - Clozette Fashion Finds App. Clozette also allows you to create & organize your personal online closet, share fashionable things you find at the stores or on the web, discover new things and get inspiration from chic Clozetters shop Asia’s top designers as well as fabulous brands from around the world. It's for FREE! Yes, you heard it right! It's definitely FREE Product Listings, no fees or charges. So what are you waiting for? Sell or swap your 'good-as-new' stuff! Create your own store now! 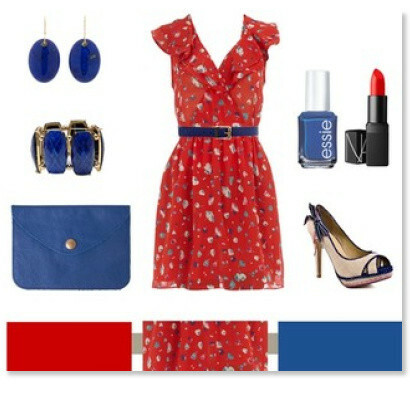 Today Clozette has over 100,000 fashion and beauty items shared by users from more than 100 countries. or just a Cropped tee & shorts ensemble completed with a denim shirt or sleek black blazer.